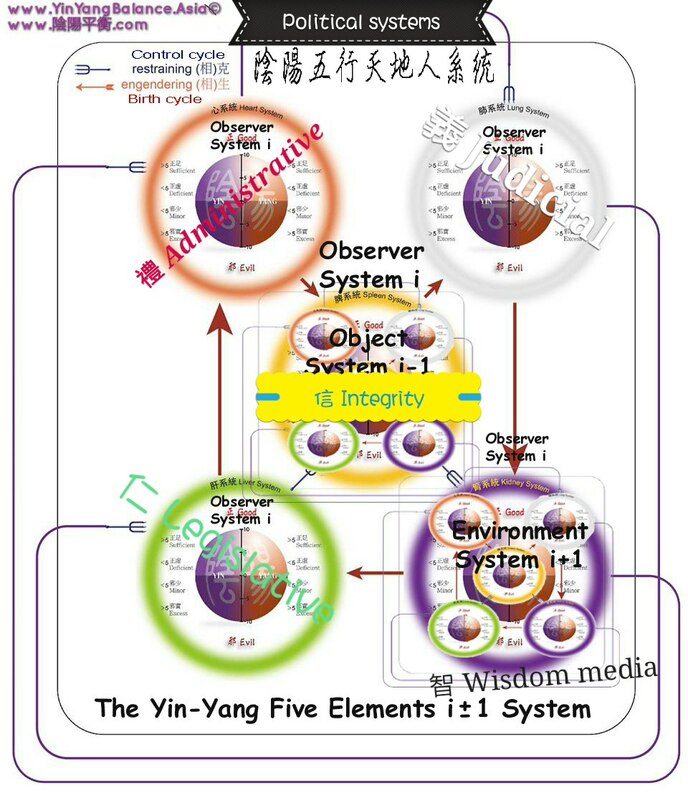 Difference between the awareness of the present reality and the awareness of perspectives in memory, causing the Flow of energy and matter (information), and resulting in Desire. 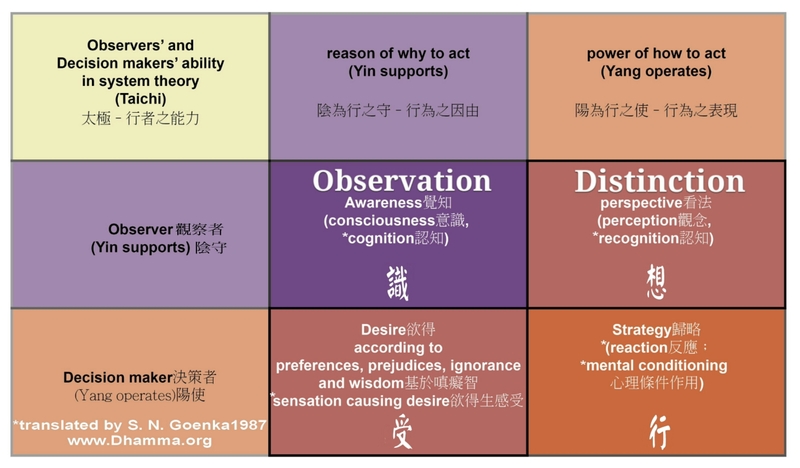 These four characters together with the physical body system (色) is said to be the five aggregates of human in the teaching of Buddha (Buddha 500BC a), (Buddha 500BC b) (Goenka 1987a) (Goenka 1987b). The application of system theory requires the understanding of ourselves, each other, the nature, the past and future possibilities in a systemic way. 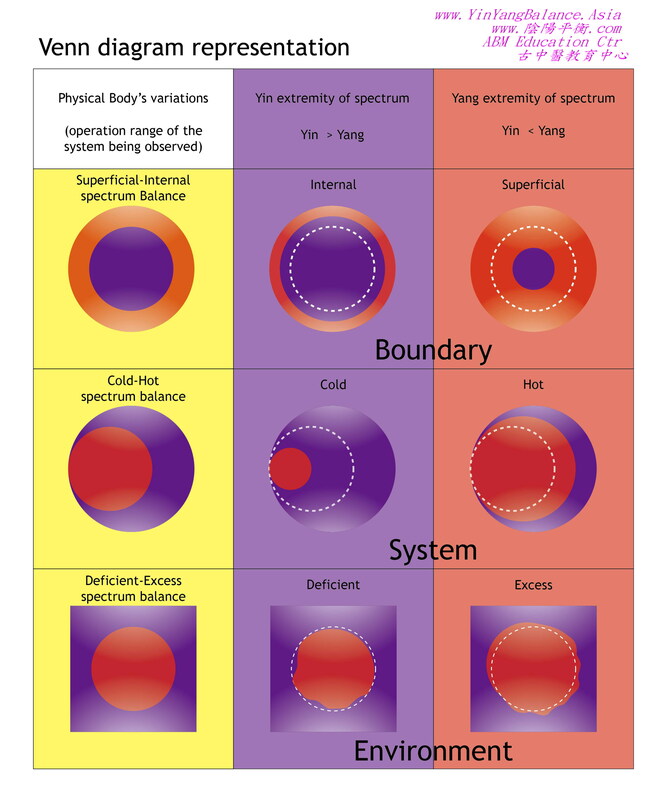 That is, we need to understand both the structure and dynamics of our physical body systems, and of our mental observers. 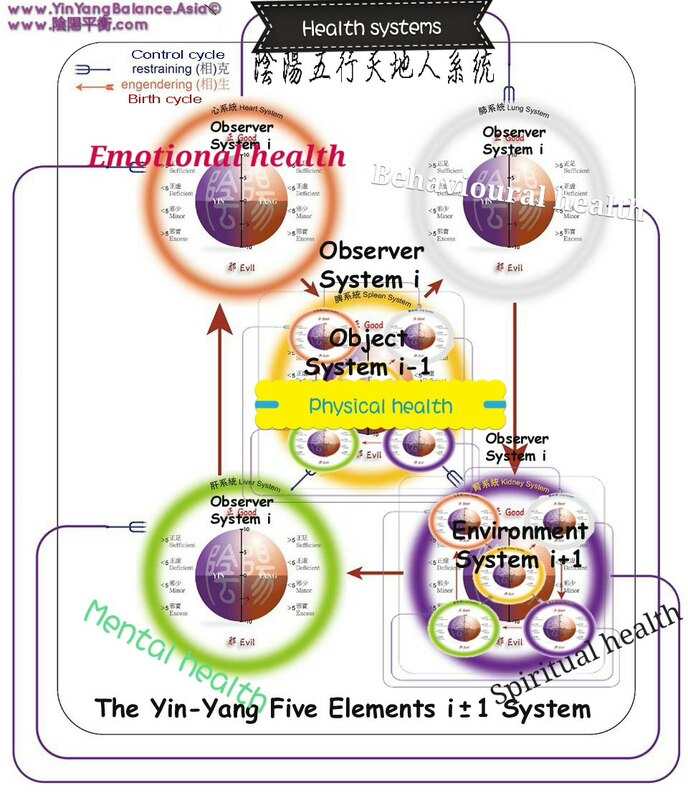 Research shows that the composition of our body and that of our mind may be explained by the same system theory relating energy, matter, life and information. 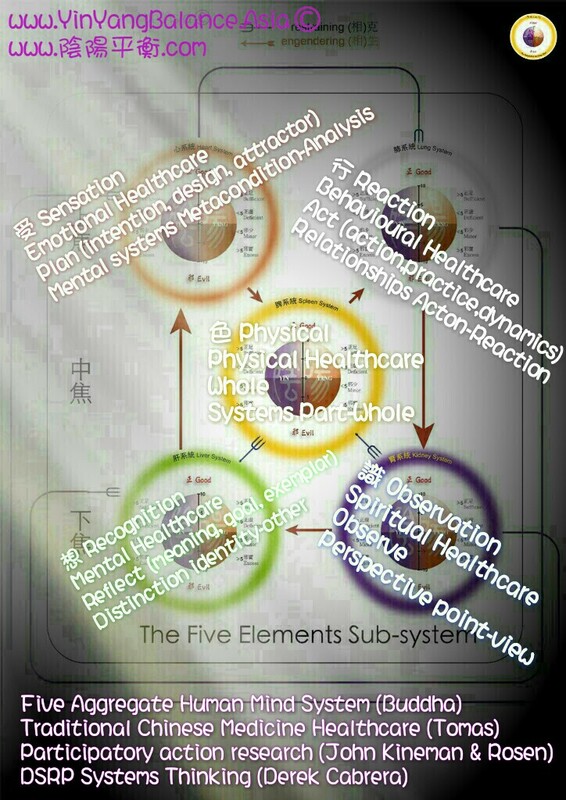 We employed this simple ancient system theory as taught by Buddha to investigate how our naturally systemic-structured mind artificially developed all this non-systemic and problematic thinkings. We use our body to experience the world around us but our mind is the one who is observing and making the decisions to change the world. 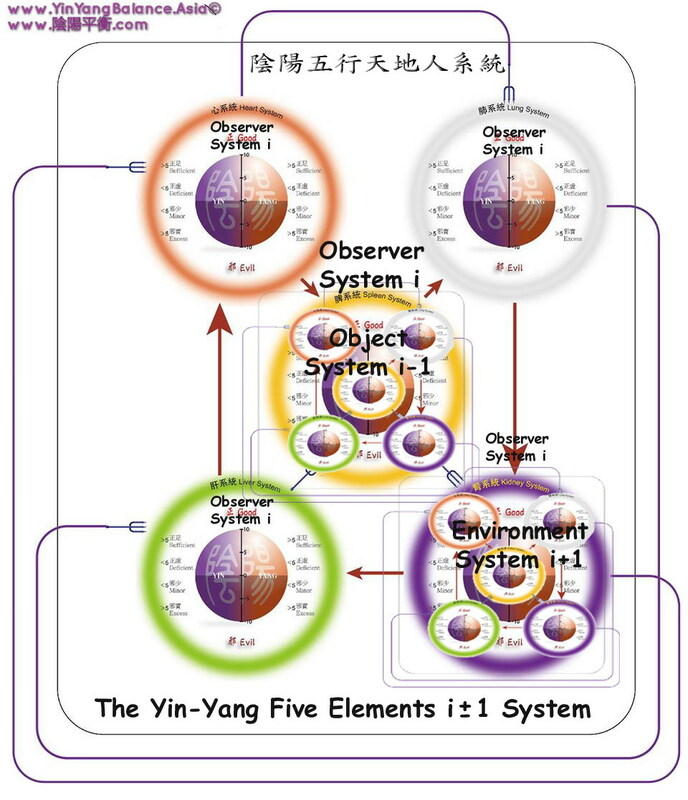 System theory sees the world composed of observers,decision makers, systems, the environment, the boundaries and the relationships among them. 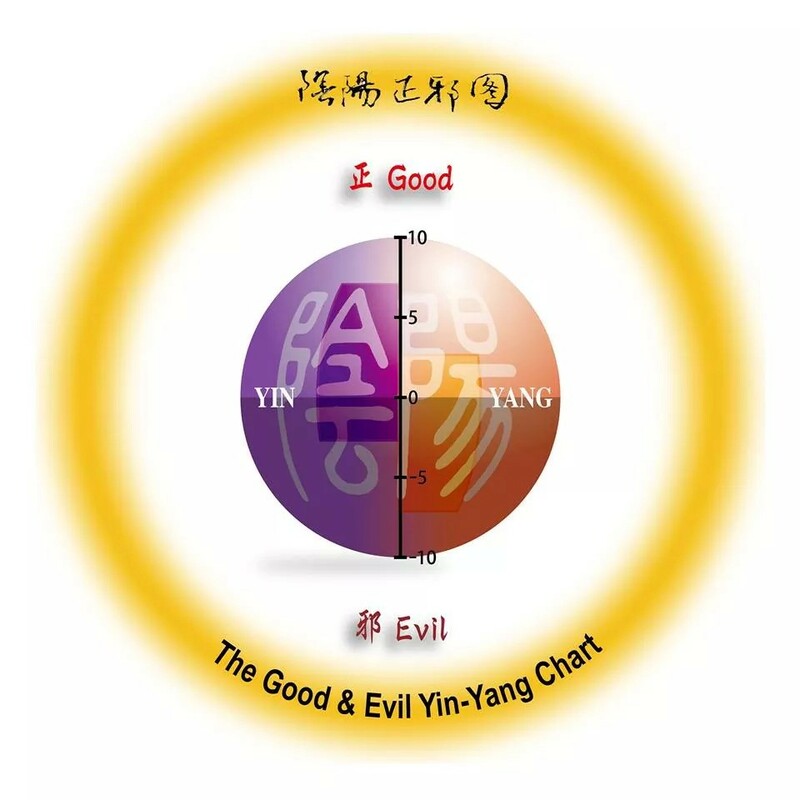 And there are two opposite forces in the world that constantly interacting with each other, creating the flow of energy, matter and information between systems and the environment. 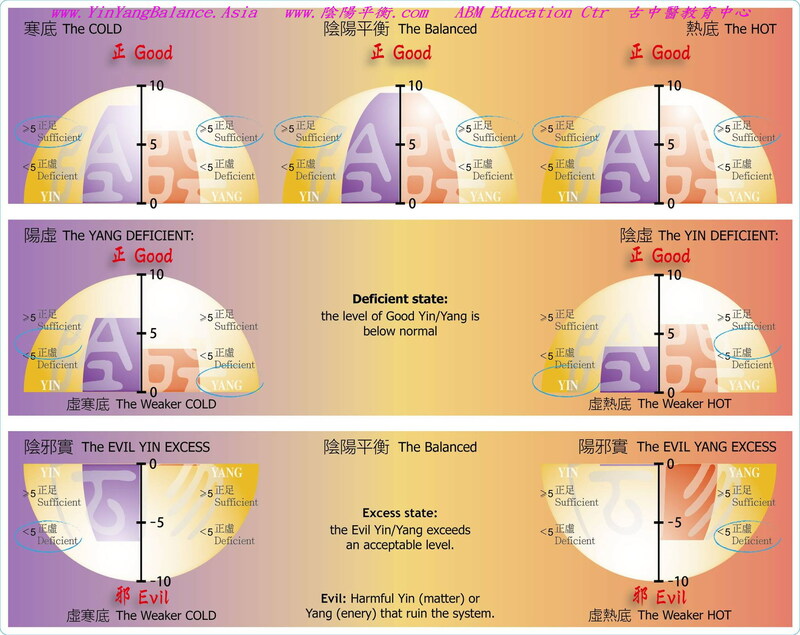 On one hand we have the disorder force governed by the second law of thermodynamics that drive everything into a equilibrium state with maximum entropy. On the other hand we have the organizational force governed by the constrains of a system that drive the system into a particular desired steady state with a low entropy. Our mind are both the observer and the decision maker with a major problem. Throughout our life we have been looking for satisfaction that brings happiness. Our government have been relying on economics to achieve this but 80% of the time we are dis-satisfied with the people and situations around us, bringing craving, aversion and ignorance into our minds and creating all sorts of problems in our society. This is called suffering in the teaching of Buddha, and he offered us with a three step solution for our mind. In this workshop we investigate the systemic view of these three steps namely self protection, concentration and purification of our mind. We also investigate a 10 days Vipassana mental healthcare program for people of all religions including scientific communities. It is believed such a program could bring happiness, peacefulness and harmony for our community. Death is the end of our lives or just the beginning of another new life? A system undergoes a transition of system state upon death, but will the system continue in other forms at other places? Or will it just terminate totally? 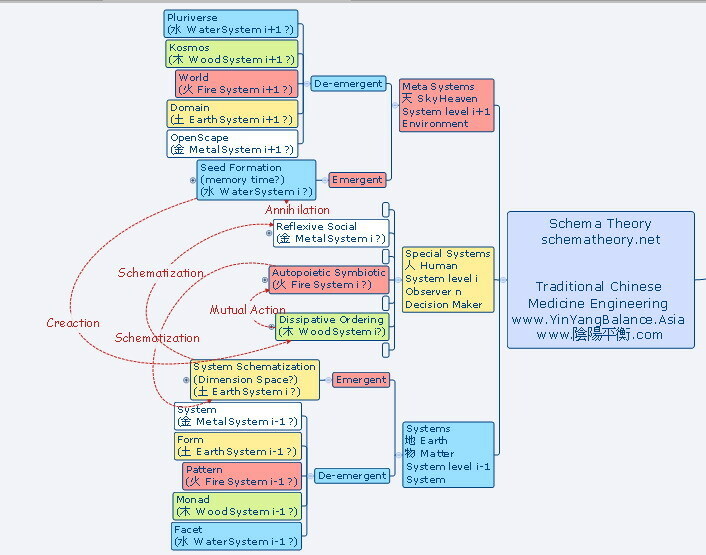 What are the possible new system states and are they sustainable? 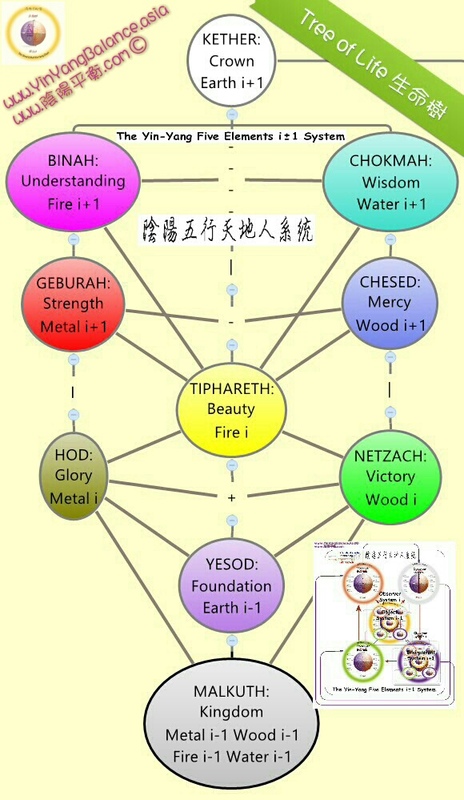 In this workshop we will investigate the sustainability of Heaven, Hell, Earth and Nibbana (null). And we investigate the way to prepare ourselves to transit into these states.